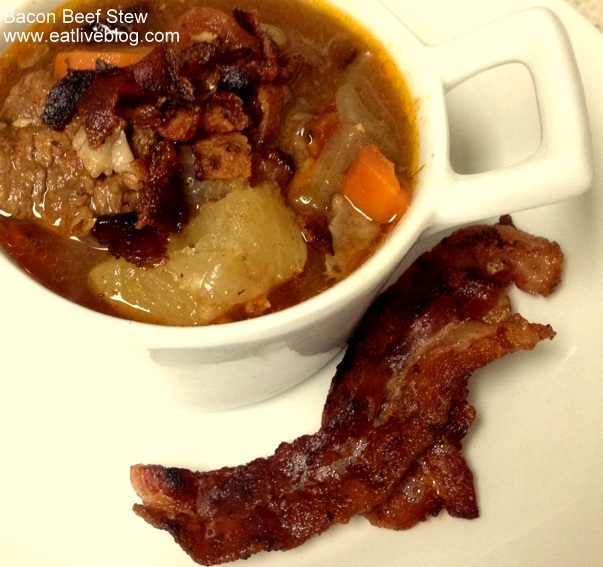 Honestly, it is hard for me to believe that this is the first time slow cooker beef stew is making it onto the blog. This is one of my favorite crockpot recipes, mainly because it is just so quick to prepare! Well no. Mainly because it is delicious and easy to prepare! The great thing about this recipe is that it is super easy to customize. Whether it is swapping out veggies for ones you have on hand, or adding in seasoning that you can’t get enough of, this recipe is very forgiving. 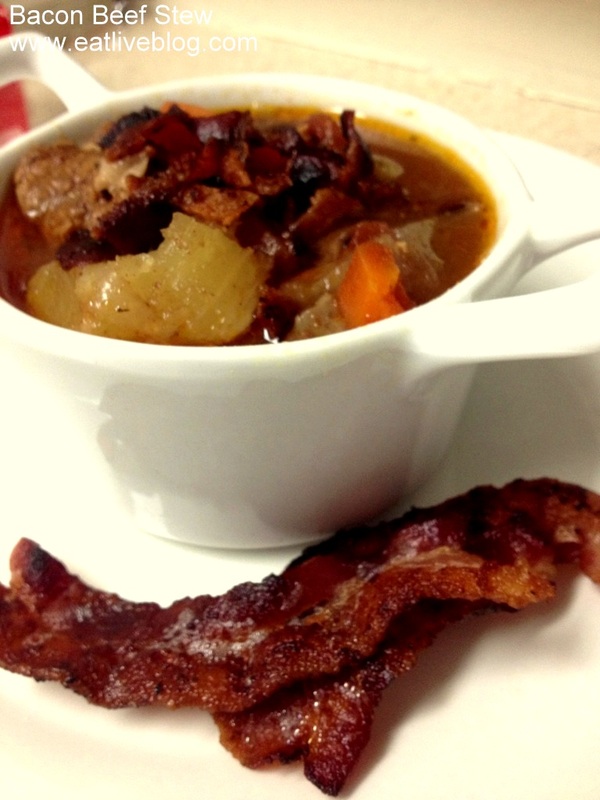 This entry was posted in Recipes and tagged bacon, beef, crockpot, dinner, recipe, slow cooker, stew, winter by reneeh. Bookmark the permalink. Sounds so perfect for this snowy weekend! This looks frigging awesome. I am going to make it. Thanks Jen! Let me know how it comes out! SUPER. YUM. 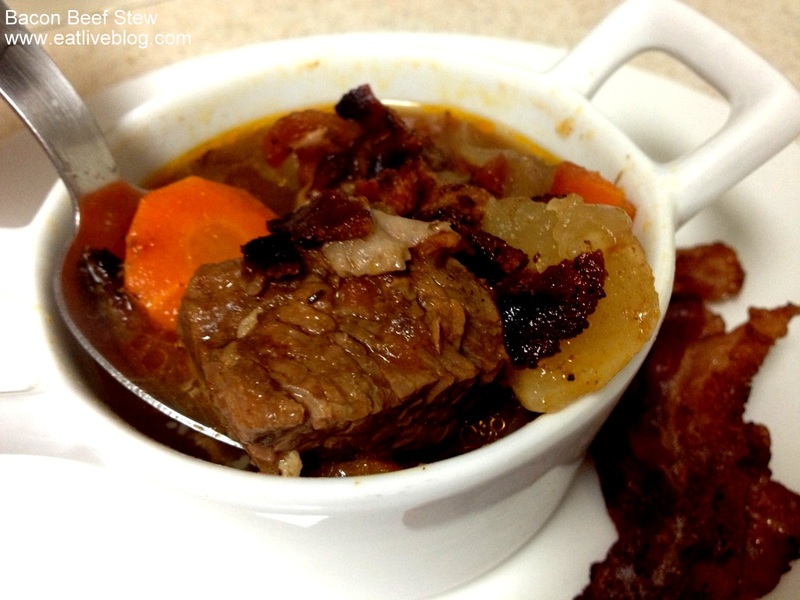 There is nothing better than beef stew on a cold winter day…or during a blizzard! This sounds fantastic.